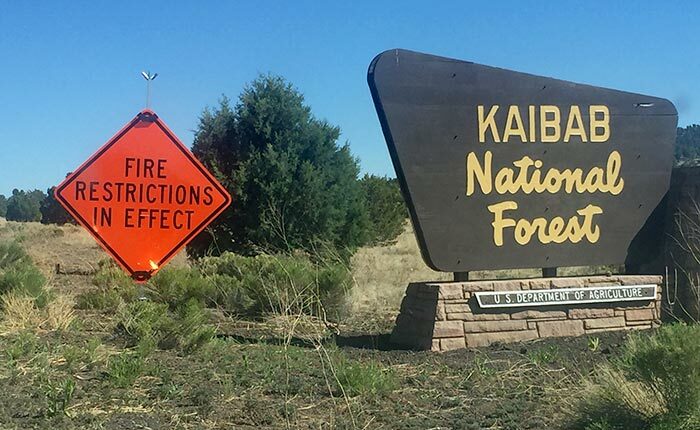 In response to the tinder dry conditions in northern Arizona, both Grand Canyon National Park and the adjacent Kaibab National Forest have announced Level II fire restrictions effective Friday, June 8. These measures are designed to limit the possibility of human caused wildfires. 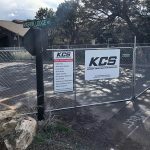 Campfires, outdoor cigarette smoking, and use of chainsaws are among the forbidden activities until restrictions are lifted once conditions improve. An unseasonably dry winter has raised the stakes as land managers try to balance fire danger (as measured by humidity levels, local precipitation and wind forecasts, and emergency response capability) with traditional recreational activities of park and forest visitors. Public land managers are hoping with the rest of us that Arizona’s summer monsoonal rains arrive on time, and in abundance, come early July. 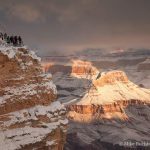 Anyone headed to the Grand Canyon in the coming weeks would do well to follow the link below for a better understanding of current restrictions. Your safety, and that of others, may depend on it. Thanks for doing your part.